Brexit is driving a much-heralded jobs boom and expansion in the financial services industry – in Luxembourg. 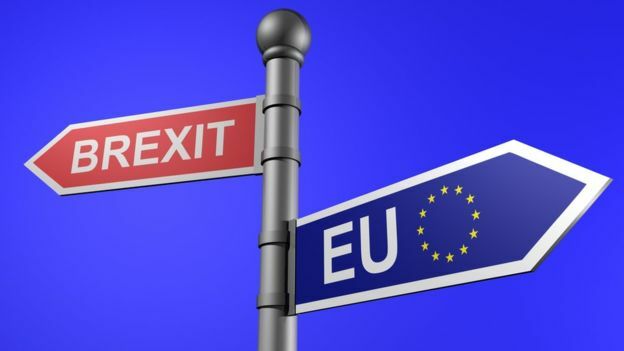 According to lobby group Luxembourg for Finance, 47 banks, insurers, wealth managers and investment firms have plans to move some business activities to the Grand Duchy in order to cope with potential disruption from Britain’s impending departure from the European Union. Last year, regulators in Luxembourg granted 80 new licences for financial firms, including a number of which that have publicly stated their intention to create or expand their operations in Luxembourg. Banking giants Credit Suisse and Lloyds Banking Group have chosen Luxembourg as one of their post-Brexit hubs, while JP Morgan is to shift some wealth management operations to the country. The lobby group said Luxembourg’s long-term stability and AAA credit rating were factors in the country’s ability to attract new business. He said: “Our offer is also constantly evolving to meet the future needs of finance, which means continuing to curate a modern, ambitious and outward-looking financial centre, that provides clear development plans and practical support. Last year, the Bank of Singapore and Banco Santander’s Brazil arm set up shop in Luxembourg, joining the 136 banks from 28 states that operate in the Grand Duchy. Meanwhile, German lobby group Frankfurt Main Finance previously said London is to lose 800 billion euro (£711 billion) in assets as lenders shift operations to Frankfurt in preparation for Brexit. It claimed that 30 out of 37 financial institutions which have applied to the European Central Bank for new licences, or to extend existing ones, have chosen Frankfurt for their European headquarters. In addition to Frankfurt and Luxembourg, several London-based financial services firms have indicated they will shift operations to Paris and Dublin as well. HSBC has said it is on course to move up to 1,000 jobs to France; and Goldman Sachs – which employs 6,500 UK staff – is set to at least double its Frankfurt workforce to 400. Barclays also expects a small number of roles to move from London to Europe, with most heading to Dublin. A disorderly Brexit that leaves Britain with no deal nor a transition period could see banks lose passporting rights that allow direct access to clients in the EU. Another crutch vote on Theresa May’s EU withdrawal is set for January 29, after the Prime Minster lost the first by 230 votes.